Old Forge Productions are back. This time, with their self penned production entitled ‘Moving On’ and this monologue style play will be performed by the playwright herself. 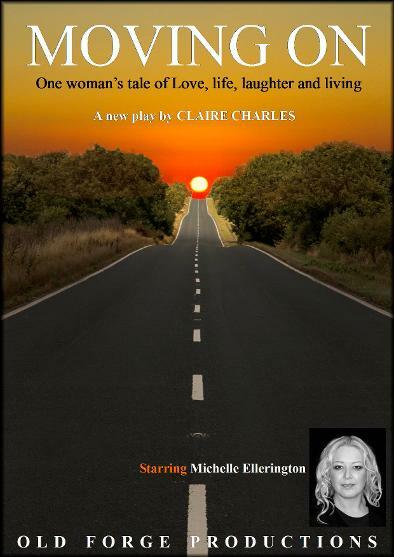 ‘Moving On’ a new one woman play by Claire Charles, is an insightful, observant, poignant and heart-breakingly funny look at love, life, laughter and living. Katherine takes us on a journey of nostalgic discovery from childhood to middle age. An emotional roller-coaster that will have you sobbing in your seats, rolling in the aisles and reflecting upon the life experiences that man and womankind encounter on a day to day basis and yet, we still survive and come back to fight another day. Quintessentially British, ‘Moving On’ deals with such subjects as love, grief, single motherhood and the very real and often funny side effects that come with growing older. Please keep checking back for new dates, or join our Mailing list for Exclusive Offers and the latest news.